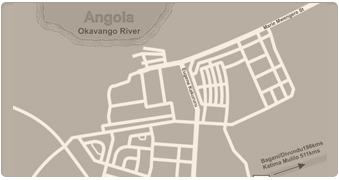 Omashare River Lodge is situated in the heart of Rundu and very easily accessible. It's the perfect location for tourists, business people, government officials and company representatives, in fact for everyone. Add the spectacular view, our warmth of hospitality and service and you know you are a treasured guest.